The New Zealand Institute of Chartered Accountants requires that we set out in written form the terms of our engagement and the nature and extent of the services which we will provide. Unless otherwise agreed between us in writing, this letter records the entire agreement between us in relation to our engagement. The terms recorded in this letter will remain in force until varied by us in writing to you, or until cancelled by either of us by notice in writing to the other. 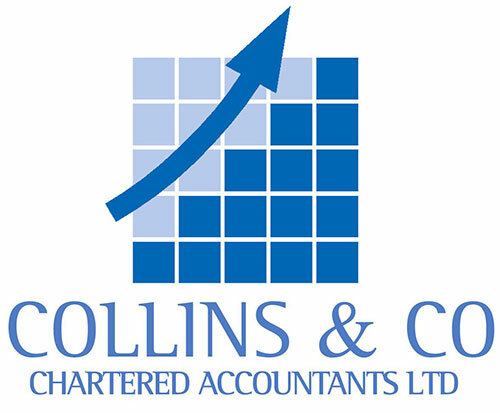 On the basis of information that you provide, we will compile your Financial Statements and Income Tax Return. We will also prepare any Income Tax Returns required by related parties. Our work will be performed in accordance with the standards issued by the New Zealand Institute of Chartered Accountants. The financial information will be prepared as Special Purpose Financial Statements in accordance with the framework. This will be disclosed in the notes to the Financial Statements. Where the Financial Statements are for a company, they will also be prepared so as to comply with the Financial Reporting Act 2013. Because of the Special Purpose nature of the Financial Statements they may not be suitable for other purposes and should not be considered general purpose Financial Statements. Compilation of the Financial Statements is limited primarily to collecting, classifying and summarising the information that you provide to us. A compilation does not involve the verification of that information. No audit or review engagement will be performed and accordingly, no assurance as to the accuracy of the Financial Statements will be expressed. We will attach our compilation report including a disclaimer of liability to the Financial Statements that we prepare. From time-to-time, we may provide other services at your request. Those other services will also be subject to the general terms and conditions contained in this letter. You are responsible for ensuring that the accounting records and other information that you supply to us are accurate and complete. You are therefore responsible for the reliability, accuracy and completeness of the Financial Statements compiled from those records and information. You have the responsibility for the maintenance of adequate records, an adequate internal control structure and the selection and application of appropriate accounting policies within your business. In addition, you are solely responsible to users of the Financial Statements we compile. These matters are not our responsibility. You will be required to review and approve Financial Statements and Income Tax Returns for reasonableness and correctness, and you will need to understand the importance and risks of signing the Income Tax Returns as being true and correct. Independence is not a requirement for a compilation engagement. If we are aware that we are not independent of your business, this fact will be stated in our report. However, we will not conduct a comprehensive review to determine whether we are, or are not, independent. We understand that the intended use of the financial information is for internal management reporting and for the preparation of Income Tax Returns. If this should change in any material respect, you should inform us immediately. We do not accept any responsibility to any person, other than you, for the contents of the Financial Statements. The conduct of this engagement is in accordance with the professional standards, rules and ethical requirements of the Chartered Accountants of Australia and New Zealand. Information we obtain in the course of this engagement is subject to confidentiality requirements, in addition to our obligations under the Privacy Act 1993. We will not disclose that information to other parties without your express consent, except as required by law or professional obligations. However, we may disclose non-financial and non-tax details to third parties for the purpose of debt recovery. Unless we agree otherwise with you, our fees will be based on hours worked charged at rates appropriate to the work performed and the levels of expertise required. We will invoice you once the work has been completed. We may also make an interim billing where finalisation of the Financial Statements is delayed for whatever reason. Due dates for payment are detailed on the invoice. If you fail to pay on time then we may refuse – without further notice – to provide further services (professional and subscription) to you until full payment has been received. If you are not able to pay in full by the due date, then please contact us, as we are usually happy to arrange payment in instalments. Unpaid accounts where no payment arrangement exists may be charged a non-payment fee each month the account remains unpaid. If you do not pay us by the due date and we engage a debt collection firm or incur legal fees in recovering payment from you, then any costs associated with the recovery action will be payable by you. The firm provides SAAS – Software as a Subscription to clients whom request such services. The same terms apply to the provision of this service. In the unfortunate circumstances that a disagreement arises between us over our fees, if the matter cannot be resolved amicably by discussion (which is our preferred option) then we both agree to use the Fees Resolution Service of NZ Institute of Chartered Accountants to resolve the matter. Details of this service are available from the Institute. You should be aware that, like all other providers of services, we are entitled to retain possession of your records that have been used in relation to this engagement until all outstanding fees are settled. Material that you provide to us remains yours and will be returned when the engagement is completed. Work papers that we create remain our property. Our work may involve the collection of personal information relevant or incidental to the engagement. Any such information will be held at our offices and will be retained for as long as may be relevant to the engagement, and, except where otherwise noted in this letter, will only be used or disclosed for purposes related to the engagement. Individuals concerned will be able to contact us to assess information held concerning them and, if necessary, seek correction to that information. We look forward to working with you and trust that you will make available to us, in a timely manner, the records, documentation and other information requested in connection with our compilation. The terms recorded in this letter will be effective for this and all future engagements that are similar in nature unless we advise you of any change in our arrangements.